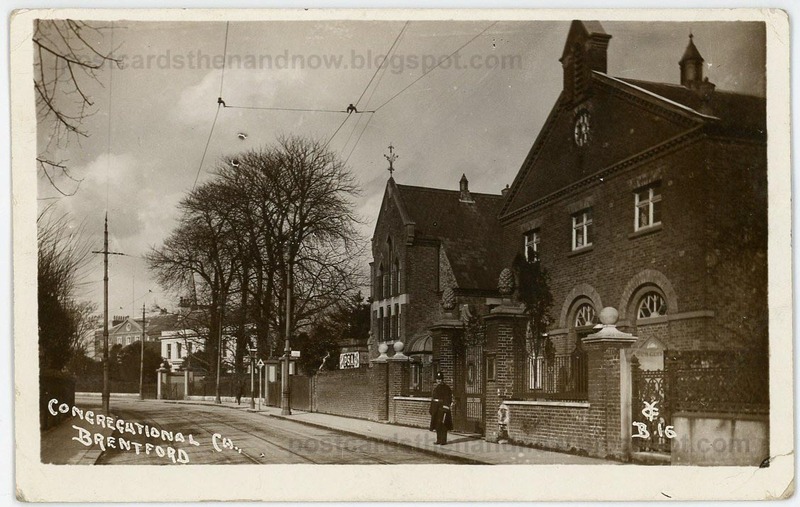 Brentford, Middlesex, Congregational Church circa 1910. The church is now called Brentford Free Church and has been altered slightly. The building next door has gone. Postcard by Young & Co of Teddington.